It feels like we are in the 8th inning of a baseball game and the closer is warming up in the bullpen. 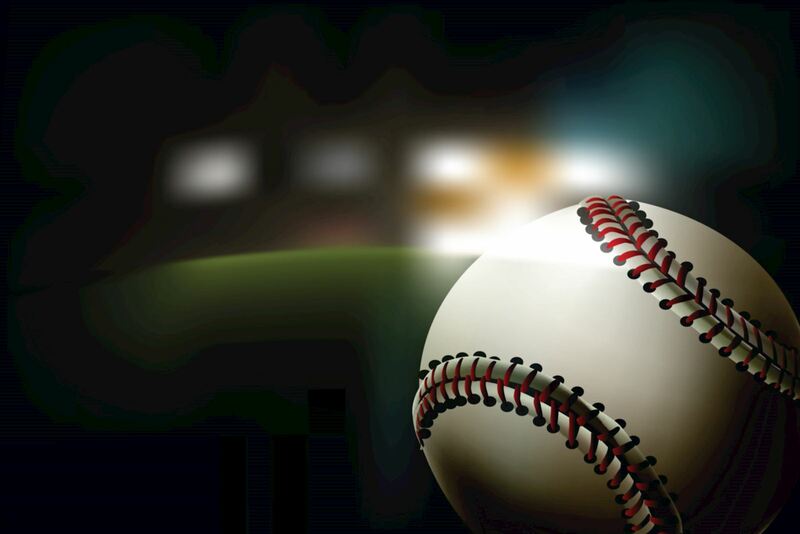 The ballgame could end soon, or it could go a few more innings. Over the past few years, multifamily investors looking to score in one of the nation’s strongest apartment markets have poured capital into the Portland area in 2017. And for good reason: Oregon and SW Washington have seen the economy gaining steam since 2013. The metro area has seen improvements in wages and income in 2017, and a recent Census Bureau report indicates that incomes in Oregon are now on par with the national median—after decades of trailing behind. Continued in-migration, changing demographic preferences and lack of adequate supply have caused cities on both sides of the Columbia to declare a housing emergency. Our political leaders have tried unsuccessfully to rectify the region’s housing shortage through implementation of fees for landlords and developers, to circumvent statewide restrictions on rent control. These disincentives may only serve to continue the housing emergency far into the future. Mayor Wheeler recently proposed—to City Council agreement—to extend this emergency into 2019. This time, they decided to have someone calculate the benchmarks of what must happen to formally end the emergency. The market has begun to see some softening. The Multifamily NW Fall Apartment Reports recorded the area 2015 vacancy rate at 2.87%, the fall 2016 vacancy rate at 3.71% and the fall 2017 rate at 4.37%. Rent per square foot has continued its upward climb, although at a slower pace than recent years. Multifamily NW data indicated 2017 year-over-year rent increases of 6.37%. In 2016 there were 51 apartment transactions priced over $10 million. In 2017 there were 37 apartment transactions priced over $10 million. In dollar volume, these 37 transactions accounted for over $1.3 billion in sales. This is well below the pace seen in 2016, which saw over $2.27 billion in sales volume. Many of 2017’s institutional sales to date have been in the suburbs surrounding Portland. 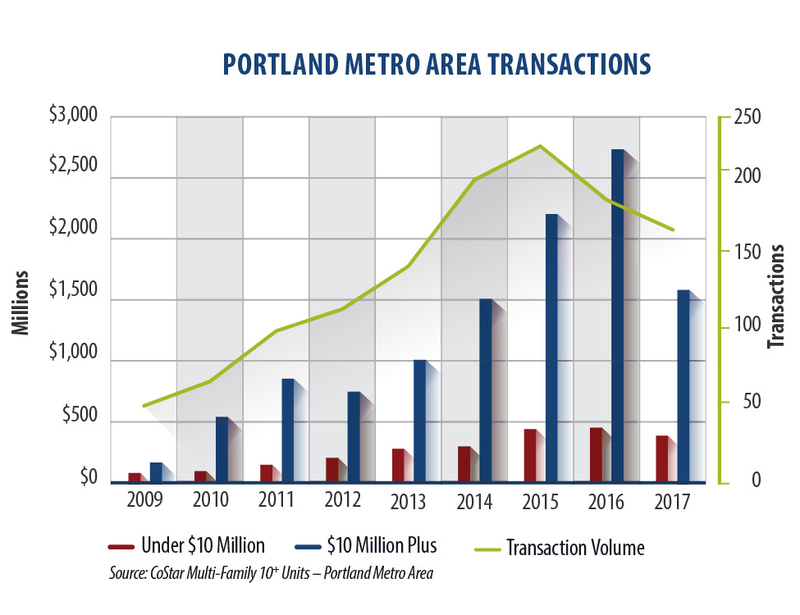 Turning to Portland metro non-institutional transactions below $10 million, we saw roughly 140 transactions through the end of 2017, accounting for over $401 million in dollar volume. * This is trending slightly below what the Portland market experienced last year. In 2016, 143 transactions in the metro area below $10 million accounted for over $450 million in dollar volume. The slowdown in transactions can be attributed to slowing rent growth, potential changes to landlord-tenant laws, record-breaking construction activity, and a shrinking supply of apartments for sale. 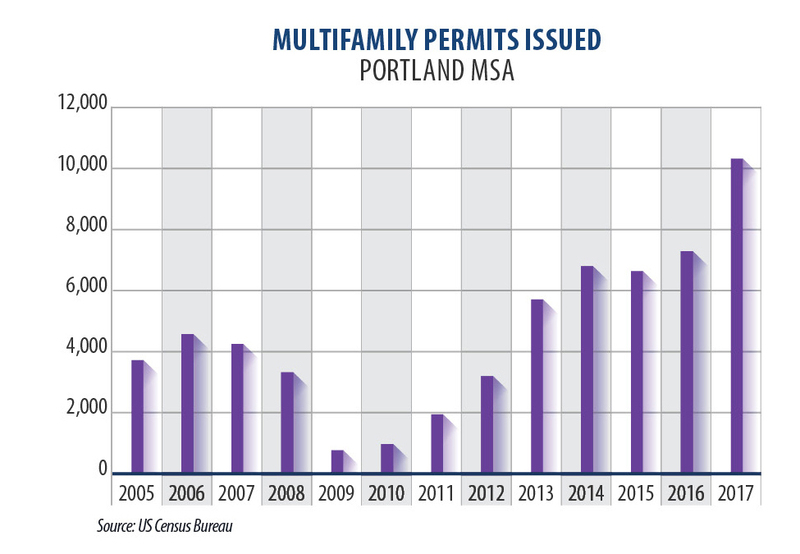 Permits have risen steadily from a low of 1,007 units permitted in 2009 to 10,319 in 2017. Still, experts say housing has not accelerated enough to meet anticipated demand. Since Portland’s new Inclusionary Zoning requirement went into effect in February 2017, only two market rate projects with over 20 units have submitted for land use review. As of the six-month review of the program, only 12 market rate projects and six affordable projects of at least 20 units had submitted building permit applications. So far city leaders appear unconcerned by this drop-off in permitting activity—citing a pipeline of approximately 19,000 units. As we have said for the last six years, good feelings are still flowing in the Portland apartment market — but it can sometimes feel like we’re stuck in an extra inning. The players in the dugout are starting to feel a little nervous. With political uncertainty and finger pointing at all levels of government, no one knows just when this ballgame will end. Tyler Johnson is a partner at HFO Investment Real Estate, now celebrating its 18th year in business. HFO has brokered over 24,300 units valued at $2.4 billion throughout Oregon and Washington. Tyler works with both private market and institutional clients and can be reached directly by phone at 971-717-6336 or e-mail tyler@hfore.com. *Data from CoStar and HFO Research.